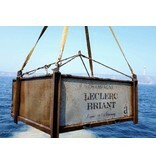 We put the wine on the seabed, where the pressure outside the bottle is as high as in the bottle. 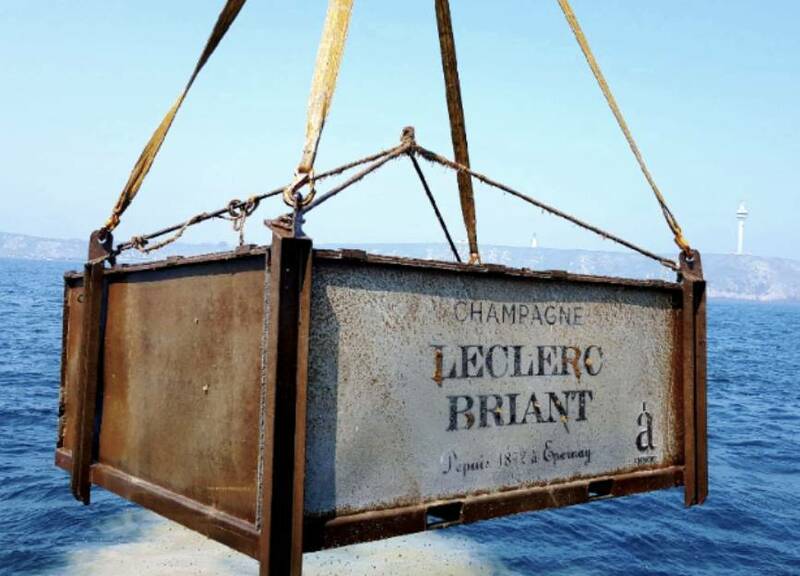 The cuvee Abyss from Leclerc-Briant was specially created for further development underwater (on the seabed) in collaboration with Amphoris, a company specialized in subsea projects. The grapes chosen for Abyss are harvested and harvested from selected Champagne villages known for their special limestone subsoil. These carefully chosen terroirs are in perfect resonance with the maritime sediment, located at the eastern point of the Ile d'Ouessant on the Brittany coast in France. Chardonnay of Bisseuil, Pinot Noir of Avenay-Val-d'Or and Pinot Meunier of Vrigny: each grape variety is equally represented in this cuvée of exceptional class. This vintage Champagne, made exclusively from grapes from 2012, was bottled in June 2013. The degorgement took place in February 2016 and was subsequently laid on the seabed in March. In May 2017 the wine was brought back above water. 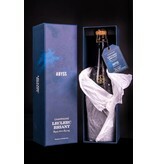 The champagne has a brilliant, light yellow color with notes of straw-yellow and a hint of silver. A lively stream of small bubbles produces a persistent ring-mousse at the top of the glass and the look promises a rich and fresh wine. The fragrance is intense mineral with a hint of iodine and chalk, pleasantly mixed with a bouquet of peach, apples and rhubarb and a bit of verbena, chamomile and jasmine. As the wine gets air, we smell everything: lime, liqueur, fresh grapes, grapefruit, seaweed, almonds, black currants, fresh pomegranate, blueberries and the scent of roses. A real sensation of depth and concentration rises from the glass, well placed and delicate. The taste is clean and fresh with a soft, creamy effervescence. 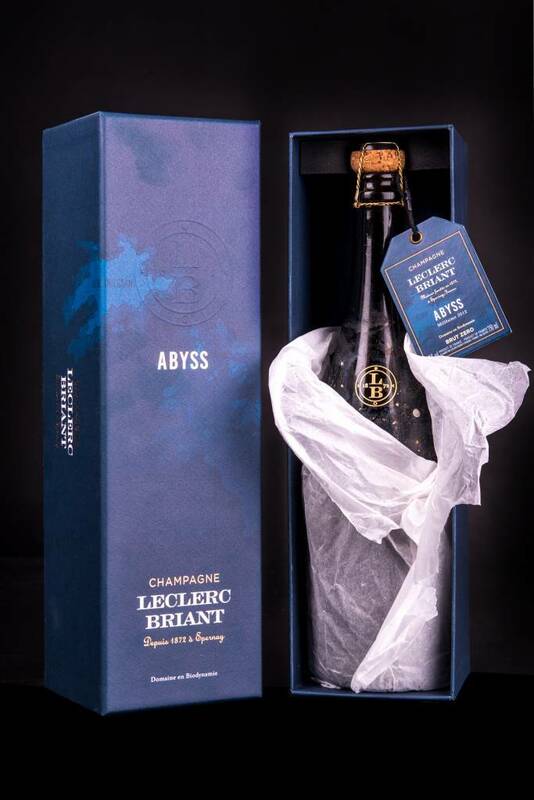 Cuvee Abyss is a champagne with a resolutely maritime character, which benefits from the quiet development on the seabed.